The Workers Cup talks about plight of migrant workers from a first person perspective raising the issue through the workers eyes. Soccer provides enormous joy but also carries a considerable underbelly, a thick layer of rottenness shrouded by the grace and grandeur of the sport's eminent performers. FIFA's decision to award the 2022 World Cup to Qatar, small in size and vast in wealth, will go down in history as one of soccer's most tainted acts. 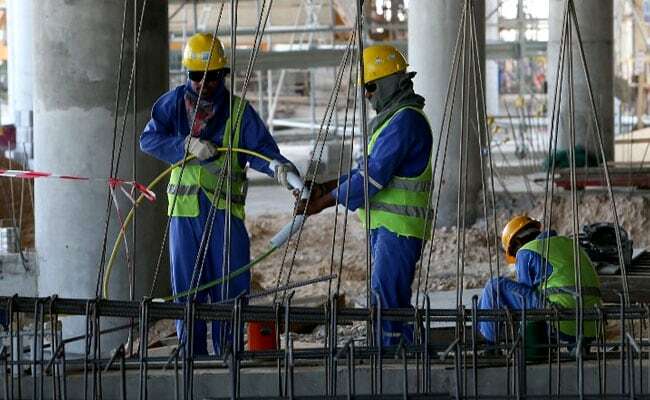 Since that controversial vote seven years ago, corruption allegations have given way to scrutiny over Qatar's harsh treatment of migrant workers constructing the opulent stadiums. The filmmakers take the audience into both the meager living compounds and the team's pregame huddle. There's Kenneth, a Ghanaian who, with a $1,500 payment to an agent, thought he would be playing in Qatari stadiums, not building them. Like many, he was sold a bill of goods. There's Umesh, an Indian who made the journey to provide for his family back home, including children Rooney and Robin, named for former Manchester United stars. There's Paul, a Kenyan who seeks love outside the camps via Facebook to combat loneliness. Forbidden from leaving, he longs to meet his online girlfriend for the first time. There's Padam, from Nepal, whose relationship with his wife becomes increasingly strained by the distance between them. And there are workers from Pakistan, Bangladesh, Kenya and the Philippines, who, despite daily hardships, carry big hearts and dreams. They know their lives are lousy, but they're trying to make the best of it. They are among 1.6 million migrant workers making up 60 percent of Qatar's entire population. Since Qatar was awarded the World Cup, beating out the United States, hundreds have reportedly died working on projects related to tournament construction. Amnesty International has criticized FIFA for being "shamefully ambivalent to the plight of workers in Qatar." They live in trailer-type structures on the outskirts of cities - out of sight and out of mind to an oil-rich Gulf nation that is smaller in size than Connecticut. Hours are long, and while the salaries are better than they would be back home, they're still modest. Movement is restricted. Workers aren't allowed to switch companies and, because their travel documents have been confiscated, can't return home until their contracts expire. It's a hard life, but as one newly arrived worker says, "If this is hell, I'd rather be in hell in Qatar than in heaven in Ghana." Over time, he probably changed his mind. For many, soccer is a welcome distraction. Qatar's World Cup organizers - known by the title Supreme Committee for Delivery and Legacy - established the Workers Cup and invited 24 companies to field teams. For the committee and the firms, it's largely a public relations exercise - a way to lift workers' spirits and strengthen loyalties. Company logos appear on uniforms and on little flags carried by players and fans. Buoyed by their journalistic work in the Middle East, the filmmakers negotiated extraordinary access to the Umm Salal labor camp and chronicled the lives of workers for a team representing Gulf Contracting Co. The squad's poor start to the tournament turns into a riveting campaign, culminating in the high tension of a penalty kick tiebreaker. It's an intimate portrait of individuals from diverse backgrounds sharing a hard-scrabble experience while forming bonds as both fellow workers and, for a few hours per week, as teammates. They confront the same dynamics that affect many amateur teams around the world: choosing a captain, buying into a coach's message, solving tactical differences . . . even waiting for the flood lights to come on. Some of the players are accomplished: Kenneth has attacking skills and a Ghanaian teammate, a goalkeeper named Samuel, left a first-division club back home to work construction and earn a better living. Many workers who aren't good enough to play support their friends with funny and passionate sideline antics - even if they might have been instructed by their employers to attend the matches. The filmmakers, including U.S. director Adam Sobel, appeared at a private screening Thursday at Miracle Theatre, a one-screen movie house in Barracks Row in Southeast Washington. "The Workers Cup" featured at Sundance Film Festival last winter and will go into wider release in March.